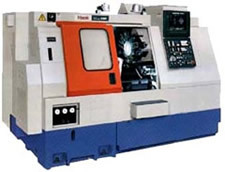 Machine Shops come in all sizes, from the one-man shop to the large-scale shop. Some machine shops handle small quantities while other shops get into long running production jobs. But all machine shops have one thing in common, their customers are constantly changing due dates, quantities and everything else under the sun. The only constant in a machine shop is change. E2 Shop System manufacturing software can help you manage that constant change and help you manage your shop more effectively. Getting quotes out fast and accurate is easy with the E2 Job Shop System. You can even do a “quickie quote” without all of the estimating detail. The E2 manufacturing software solution order entry handles all of your release schedules, split deliveries, complex assemblies, split jobs, changing due dates and much more. E2 engineering manufacturing software lets you see exactly what inventory you have on hand and create the job all in one step. The powerful, yet flexible scheduling whiteboard allows you to schedule the shop floor realistically. Avoid those machine bottlenecks and increase job though put. E2 Shipping integrates seamlessly with UPS World ship and other carriers so your customers can track their parts from dock to dock.